I would like to begin by thanking Harriet Chen’s coordinal invitation for me to share my experience at Columbia University’s School of International and Public Affairs (SIPA). I am currently a 2nd year Master student of International Affairs (MIA) at SIPA, concentrating on International Security Policy and specializing in East Asia and International Organizations. The purpose of this article is to provide a general introduction of SIPA. The paper will cover my experiences at SIPA from several perspectives: Programs and Degrees, Academic and Coursework, Internship, Extracurricular Activities, Final Thoughts, and an Admissions Guide. I hope my experiences will serve to benefit prospective Taiwanese students in their pursuit of studying international relations in the United States. Columbia University’s SIPA is currently ranked as one of the best U.S. schools to study International relations and become a professional practitioner. Its peers include Georgetown’s School of Foreign Service (SFS), Harvard University’s Kennedy School of Government, and John’s Hopkins’ The Paul H. Nitze School of Advanced International Studies (SAIS). SIPA offers a wide array of different programs from Master of International Affairs (MIA), Master of Public Administration (MPA), together hosting about 600 students per year, with half of its student body being international students, to more specialized programs in Development, Economic Policy, and Environment Policy such as an MPA in Environmental Science and Policy, MPA in Development Practice, and Program in Economic Policy Management (PEPM). The specialized programs house a smaller student body and in average admit applicants with more years of working experiences than students in MIA and MPA programs. On average, 50% of SIPA’s student body is international students. 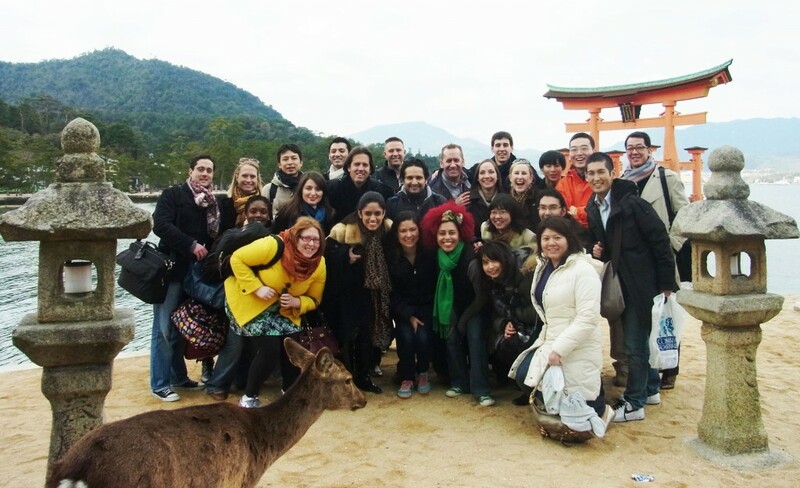 In year 2011, SIPA students come from 104 countries around the world. Due to the diversity of its student body, SIPA has accumulated a global network of 18,000 alumni in 156 countries. Admittedly, SIPA students come from a variety of different backgrounds. There are government-sponsored officials, for example from Japan, Turkey, Israel, Kazakhstan, Singapore and the United States, while others have accumulated experiences in Private and/or Non-for-profit organizations, the former include many Fortune-500 multilateral companies and the latter institutions such as World Bank, the United Nations, and International Monetary Fund (IMF). Also, a smaller number of students straight out of college with excellent academic records and impressive leadership experiences are admitted each year. In addition to SIPA programs, most students in SIPA believe they learn as much from their peers’ experiences as from their time in the classroom. SIPA also offers opportunities to complete dual-degree programs with other Columbia programs or SIPA’s worldwide network of schools. For example, as an MIA student, I could apply in my second semester, for another Master degree in Urban Planning, Business Administration, Journalism, Public Health, Quantitative Methods in the Social Sciences, or Social Work. If admitted, I could cumulatively finish these two degrees in three years, comparing to finishing both degrees would take about four years. It is also possible for MIA students to apply for a Juris Doctor (J.D.) with Columbia Law School. 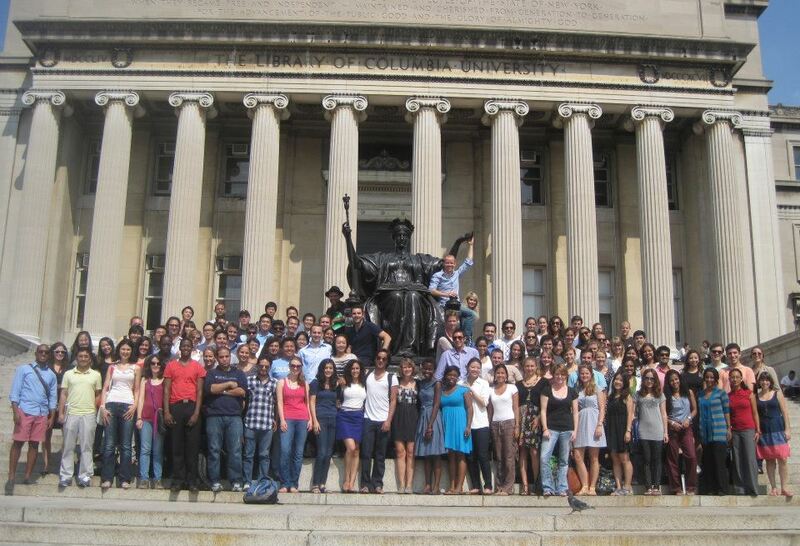 Moreover, every year a number of SIPA students benefit from Columbia’s Global Policy Network and spend their second year at partner policy schools in other countries and earn a Master’s degree from each institution. As a result, some of my friends are currently enrolled in schools like Sciences Po Paris, the London School of Economics and Political Science, National University of Singapore’s Lee Kuan Yew School of Public Policy, and University of Tokyo’s Graduate School of Public Policy (GraSPP). As an MIA student, within the two-year time span, we are required to complete 54 credits and maintain a 3.00 GPA to graduate. The curriculum requirement is composed of five components: Core requirements, Concentration courses, Specialization courses, Electives, and Internship. Most MIA first year students strive to fulfill all their core requirements spanning from a Graduate-level IR theory course, a year-long Economic Analysis course, a Financial Management course, a General Management course, and one Quantitative Analysis course. Native English speakers will have to fulfill their Foreign Language Proficiency requirements either by taking a year-long or more intensive language course or pass a foreign language proficiency exam. A native English speaker is required to pass a proficiency exam in a foreign language or pass an intermediate level 2 SIPA language course. The program also includes a three-week Professional development cram course to prepare its students on interviewing skills and revising resume and cover letter. Normally, in their last semester, SIPA students would conduct a semester-long project, capstone as we call it, to culminate their studies. 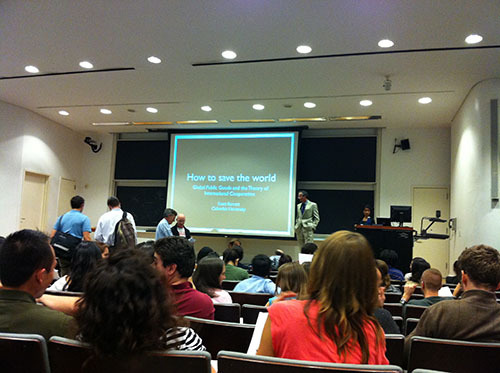 Capstone is an excellent opportunity for students to work, with the help of a SIPA Professor, for a real-world client. Many students find SIPA capstone rewarding as it allows them to put what they have learned at SIPA into practice, but also deepens their network by working for their clients. Some students also secure job offers through the connections and contacts they build during their capstone. Some capstone also requires student to travel to local communities or organizations for in-depth interviews or data collection, as a result, several of my close friends have visited countries such as Rwanda, Cambodia, and Mozambique. The “Concentrations” at SIPA are similar to the majors of other graduate programs, each with their own core and required courses. A concentration at SIPA for MIA will consist of at least 18 credits (six three-credit course). Fortunately, MIA students can freely choose their concentration without restriction, as long as they fulfill 18 credits in a single concentration. In total there are five concentrations: Economic and Political Development (EPD), Energy and Environment (EE), Human Rights (HR), International Finance and Economic Policy (IFEP), International Security Policy (ISP), and Urban and Social Policy (USP). As an ISP concentrator, I have been taking courses with a wide spectrum of topics from U.S. Foreign Policy, Chinese Foreign Policy, East Asian Security, Terrorism and Counterterrorism, Peacekeeping, to Nuclear Nonproliferation. 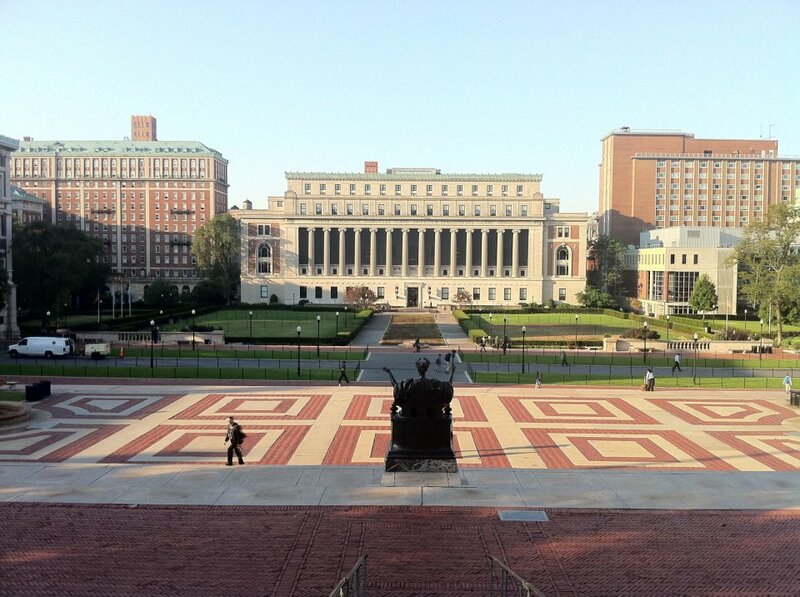 As a SIPA student, I could also freely enroll in courses offered by Columbia’s Political Science Department. As a result, in addition to the policy-oriented ISP coursers, I am blessed to attend theory-oriented classes by Columbia’s renowned scholars and excellent practitioners in the field of International Security. These scholars include Richard K. Betts, Andrew J. Nathan, Robert Jervis, Jack Snyder, Michael Doyle, Virginia Page Fortna, Stuart Gottlieb, Austin Long, and Stephen Sestanovich. Many of them have offered me invaluable advice on my studies and inspired me at the intellectual level. The “Specializations” at SIPA are similar to minors in other graduate programs, and require only 9 credits (3 three-credit courses). Students often tailor their specialization to achieve their professional or academic goals such as strengthening their methodological trainings, extending the research focus beyond their concentration. SIPA offers seven specializations: Advanced Policy and Economic Analysis (APEA), Applied Science, International Conflict Resolution (ICR), International Media, Advocacy and Communications (IMAC), International Organization (IO), Management, and numerous Regional Specializations (Africa, East Asia, East Central Europe, Europe, Latin America, Middle East, Russia and Eurasia, South Asia, and the United States). I double-specialize in International Organizations and East Asia and have done coursework in International Organization, United Nations, and Peacekeeping Operations. My specialization in East Asia includes courses in East Asian Security, Cross-Strait Relations and Sino-U.S. Relations. Both specializations enable to buttress my ISP concentration and allow me to tackle ISP issues from a different angle and at a deeper level. International Organizations specialization includes mostly professional practitioners that have worked for the United Nations or other institutions. These scholars include Dirk Salomons, Elisabeth Lindenmayer, and Jean-Marie Guehenno, an assistant to Kofi Annan in his mission to Syria in 2012. So much about coursework! Let’s talk about Internships. Like other professional programs, such as an MBA program, the importance of internship is beyond fulfilling the graduation requirement. An internship might lead someone to a full-time offer when he/she graduates, will normally help extend their professional network, and lead to other opportunities and offers. The effort for securing internships starts early, though it varies from different sectors, and goes from late September to the following June. Thanks to SIPA broad alumni’s network and the school’s location in New York City, SIPA students generally have numerous opportunities. In late September, the first firms that held on-campus information sessions include Fortune-500 financial companies and consultancies such as Goldman Sachs, Morgan Stanley, and Mckinsey & Company. From October, positions at the United States Government and International Organizations such as the United Nations gradually become available. Non-profit organizations such as think tanks, local agencies, and other non-profit organizations will primarily recruit in the spring semester but also accept applications sporadically throughout the year. With limited working experiences during my undergraduate studies, I was unclear what internship to apply for. My background in economics naturally led me to look into the internship programs of private financial companies such as Citigroup, Goldman Sachs, and consulting companies that I gained familiarity with by attending information sessions. I applied for various internships opportunities across different departments in each firm and secured a couple of interviews. After a lengthy one-hour interview with two senior analysts at a financial company, they persuaded and helped me understand that I am not cut out to work for this industry. The rejection came along in the midst of my finals and brought me frustration but helped me reconsider and search for what my passion and enthusiasm in international affairs entailed. There was not much time for self-doubt and hesitation, as many of my fellow colleagues were now invited for interviews or accepting offers. I realigned my job search and tailored it to my interests and continued to apply for a wide variety of different positions in different industries. In mid-January, after an interview at the Manhattan Borough President’s Office, they offered me an internship opportunity as a policy analyst. 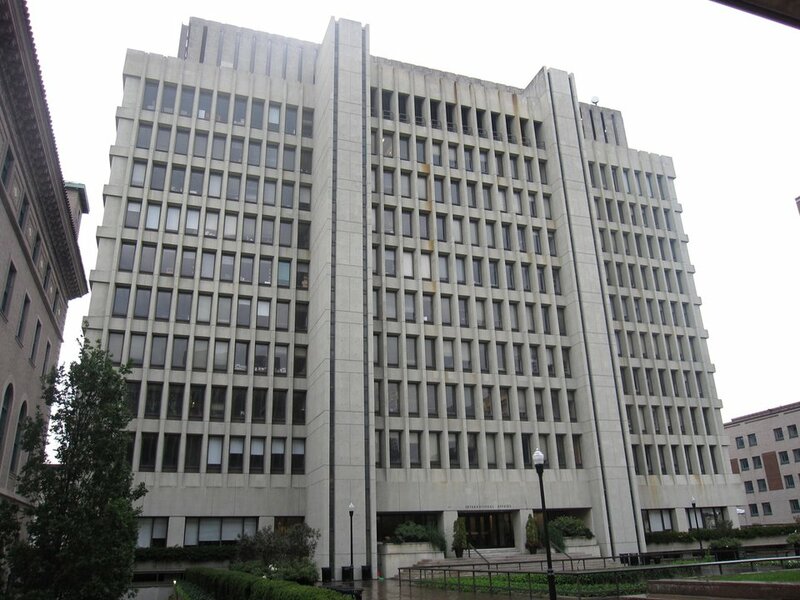 My internship started from the spring semester, and as a result I was fortunate to work with the Policy Unit, at the Borough President’s Office, in researching and designing policies that were of crucial importance to Manhattan and New York City. My internship was special and rewarding because it gave me an exclusive opportunity, from the perspective of policy makers, in designing New York City Mass Transit System, Public Housing, and Education policies. The internship boosted my understanding of U.S. domestic policies. SIPA students enjoy the abundant resources Columbia offers to further their understandings of international affairs and extend their professional network. The International Affairs Building (IAB) at Columbia University, in addition to SIPA, hosts the Department of Political Science, Department of Economics, and a dozens of regional research centers such as The Harriman Institute on Russian Studies, Saltzman Institute of War and Peace Studies, The Weatherhead East Asian Institute, and Institute for Social and Economic Research and Policy, to name a few. As a result, after our classes, we have access to discussions, seminars, and brown bag talks with cutting edge research by scholars, professionals, diplomats, and even cabinets members from various governments. Outside SIPA, Columbia University’s World Leaders Forum provides Columbia Students precious opportunities to attend lectures and interact with world leaders. For the past decade, the forum has invited over forty World Leaders, mostly Presidents of a countries or Chairperson of international organizations to come. Kofi A. Annan, former United Nations Secretary-General, Vladimir Putin, President of Russia, Hamid Karzai, President of Afghanistan, and Al Gore, former vice President of the United States have all visited the campus. For the past year, I was fortunate enough to attend speeches by Ban Ki-moon, United Nations Secretary-General and Daw Aung San Suu Kyi, chair of Burma’s National League for Democracy. Their inspiring stories have helped rekindle my passion for international affairs. SIPA’s student organizations also offer numerous social activities throughout the year. There are current twenty-one student organizations at SIPA with most of them focused on national identities or similar professional interests including consulting, NGOs, and banking. The Taiwanese Student Association at SIPA, Taiwan Focus, represents the voices of Taiwanese students at SIPA and we hold about three activities per semester for SIPA students. Occasionally, we have reached out to other student groups at SIPA such as Chinese Students’ Greater China Initiative, Japanese Students’ Japan Study Student Association (JASA)”, Korean Students’ Korea Focus, and Students from South Asia’s Southeast Asia Student Initiative in the “Taste of Asia”, in which each group offers authentic cuisine that best represent their country and put on cultural performances. 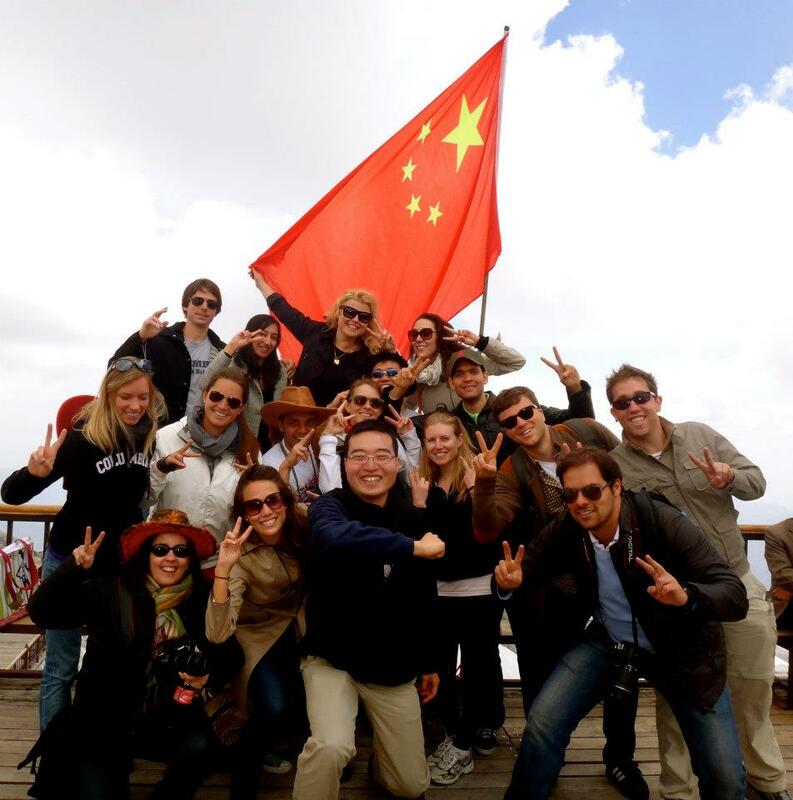 Some student groups such as Greater China Initiative and JASA have set up student trips to their home countries of China and Japan. 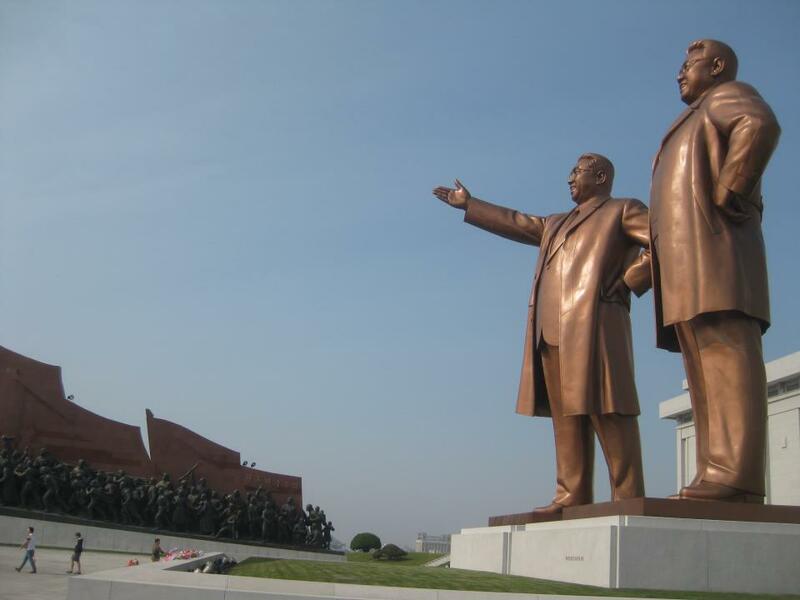 Conflict Resolution Working Group (CRWG) also initiated a North Korea trip in 2011. All these activities inside and outside of SIPA provided social outlets for the rigorous academic program and fostered friendships among SIPA students beyond our concentration and specialization studies. I hope I have convinced you that studying at Columbia SIPA would be one of the best opportunities that one might have, if he/she is interested in international affairs. When SIPA students graduate they might embark on a career path different from the one they intended when they first applied. However, they will be equipped with the knowledge, skills, and networks that SIPA offers. 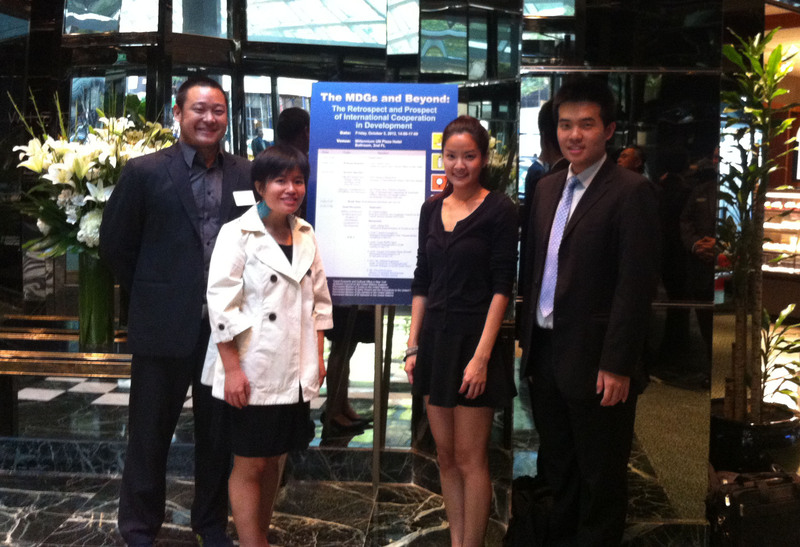 Every year in December, the Office of Career Service publishes an annual report on SIPA students’ Employment Statistics. Now, if you are interested in applying to SIPA, I am willing to share my experiences regarding SIPA admission. Take this advice with a grain of salt, as it is based on my experiences and observations, rather than a SIPA admissions officer’s opinions. Much like admissions to other U.S. International Affairs graduate programs, admission decisions are based on a holistic review of applicant’s credentials rather than just their quantitative score. That said, an average GPA of 3.5 is sufficient and will make you a qualified and competitive applicant. For an undergraduate applicant who does not have formal working experience, GPA and GRE scores will be more important for acceptance than for applicants with more years of relevant working experience. An old score of GRE over 1350 (Verbal and Quantitative) is considered sufficient. For undergraduate and applicants with more working experiences alike, the Statement of Purpose (SOP or Personal Statement), will perhaps be the most important piece in your application. A solid SOP will include several elements: 1) Research Interests, 2) Experiences (Academic, Professional, Leadership, and so forth), and 3) Professional Goals upon graduation. SIPA admissions officer will weigh in all the information and see if SIPA could successfully help you achieve you goals, so be realistic and pragmatic about your plan. Lastly, as in other applications, your recommendation letters can also be the great equalizer. An ideal mix of recommendation will come from both academic professors and professional practitioners. When I applied, I had two professors recommending my academic performance, and a NGO director familiar with me for extracurricular activities. I hope my experiences and stories have provided information, helped solve puzzles about SIPA, and hopefully sparked your interest in the field of international relations. If you have further questions I can be reached through my emails and best of luck in your studies and endeavors. I would like to thank Justin Lin and Monica Liao, both board members of Taiwan Focus at SIPA for their insights and comments.